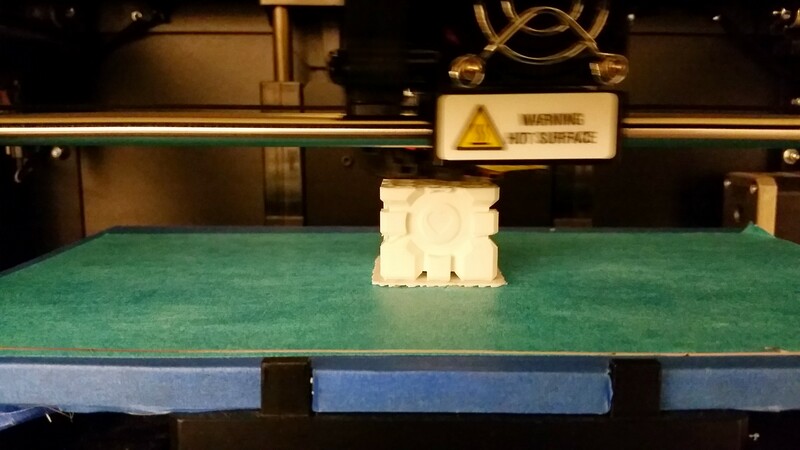 I decided to make the Companion Cube from the video game, Portal. I wanted to make this as a keychain and also write HCDE on it. 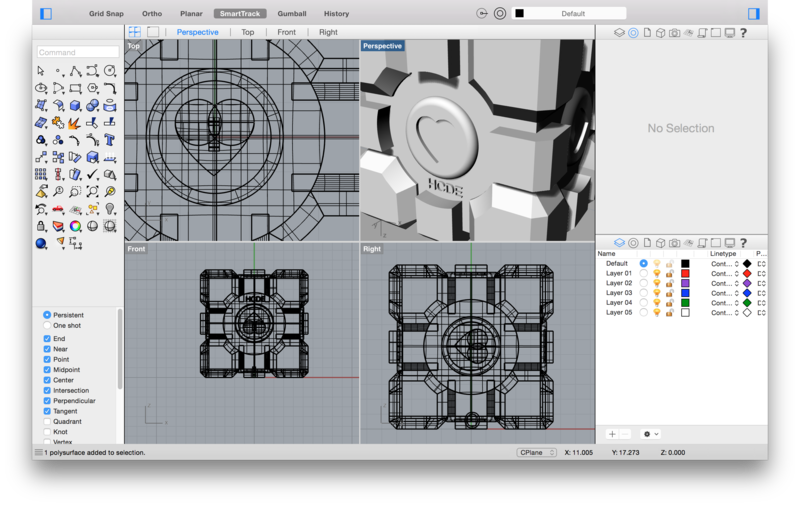 I made my design on Rhino and looked at an image of the Companion Cube on Google Images. I liked that we had the freedom to make whatever we wanted. We also had plenty of time to make our designs and print them out. This was really helpful because of the learning curve when first using Rhino and also because of the limited access to the Makerbot Replicator. Some challenges that I faced was using the Makerbot Replicator 2 in the HCDE Design Lab. My print takes 3 hours to print and an hour into the process the filament stopped coming out of the extruder. This happened because the filament had a crack in it and it snapped. So I had to load it back in, which I learned to do from watching YouTube tutorials. Because I was running short on time, I scaled my design down for my second print of my Cube. This shortened down the print time to an hour and a half, however the keychain hole became too small. When I tried to put the Cube on my keychain the hole on the Cube snapped off. It was interesting to use a new 3D modeling tool. However, I have a lot of experience using SolidWorks so it was very confusing to switch over to Rhino. I like SolidWorks because of it’s dimensioning capabilities as well as its nature of design intent, which is not available on Rhino. I wish I could have used SolidWorks for this project instead (I couldn’t because I did not have access to the program). But I tihnk it was valuable to learn a different program as well.